One of the biggest complaints pot smokers have about using a bong is the temperature of the smoke they draw in on fat hits. The bong is ideal for storing up huge billows of sweet smoke, but by the time it reaches your throat and lungs it may still be scorching red hot and diminishes your ability to enjoy that sweet nectar. Luckily for pot smokers world wide, the ice glass bongs have come to the rescue. Now when you reach back and take that monster hit, you enjoy all the potency of the herbs minus the burning flames of Hell. Here are a few facts about the ice bong that will convince you this should be your next addition to your smoking arsenal. How Does the Ice Bong Work? 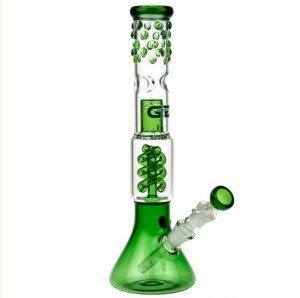 If you were to look at a variety of bongs, you may be hard pressed to distinguish the ice glass bongs from the rest of the field. Today, these bongs are created in some very unique shapes and styles, but what makes the ice bong so different? 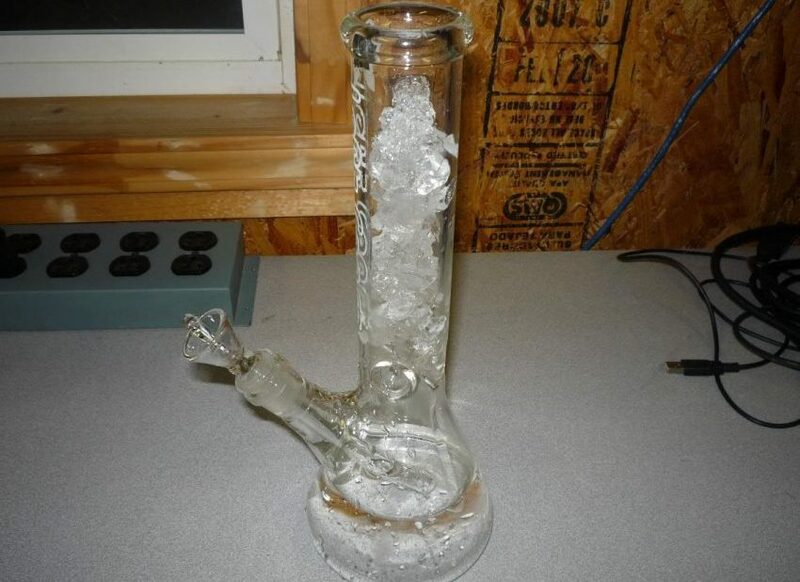 Ice is added to the bong in a special compartment where the smoke must first pass through before it can be drawn up the pipe. The ice and water filter the smoke, resulting in a cool refreshing hit that will never burn your throat or lungs. Now when you go for that fat hit, you get a mouthful of potent smoke rather than a ball of fire. The way the bong and homemade water pipes works is simple, add water, add ice, spark up the bowl, enjoy! Why Do We Need Ice Bongs? The simple solution would be to take tiny hits, but that is not what the bong is all about. Are you aware that the burning temperature inside the water bong reaches 2,000 degrees, and the final smoke that leaves the mouthpiece can be in the 100-125 degrees range? When you want to get high, you don’t need to be negotiating the strength of your hits, you want to draw in bigger hits and enjoy the weed. The ice in the bong cools the temperature of the smoke, allowing you to relax and just enjoy the moment. The ice bongs provide just the right amount of heat, ensuring you get the best possible smoking experience. With all that heating and cooling, aren’t glass bongs dangerous? With ice glass bongs, you have nothing to worry about when it comes to breakage. The material used to create these bongs is extremely durable, able to easily withstand the sudden rise and drops in temperature within. 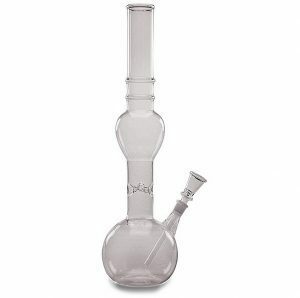 The entire bong is quite sturdy and ideal for everyday casual use. The glass is much thicker than you might imagine, designed to withstand being handed around from person to person. The ice compartment requires little maintenance unlike diffuser beads that must be removed and cleaned to wash away resin and tar buildup. Once the ice melts, you simply pour out the water. The ice bongs are the perfect weed smoking device for those who want to enjoy monster hits without burning their airways.